Fate drew me home for a second chance at love. But only if I can survive the battle for Alpha. After all these years, I still feel a strong pull toward Big Bend. Being uprooted and torn from your fated as a teen will do that to you. With our shifter families at odds, Wyatt and I were forbidden to see each other again. But now that my best friend is getting married, I have no choice but to return. When Wyatt and I lock eyes again, our undeniable passion comes rushing back in an instant. But little did I know, there’s been a power struggle happening among my gray fox clan there. And with me being next in the bloodline for Alpha, I’m walking straight into the crosshairs. 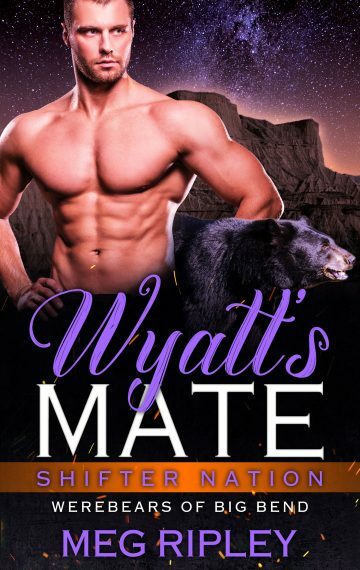 Wyatt’s vowed to never let me out of his protective bear arms again. But with danger lurking behind every corner in Big Bend, will I survive long enough to finally recapture my heart’s fated destiny? Steamy shifter scenes inside! Readers 18+.